Dow-Key strives for excellent customer service and we want to hear from you! Whether you're looking for more information or you'd like to place an order, don't hesitate to contact us. Dow-Key Microwave Corporation, the world's largest manufacturer of electromechanical RF Switches and Switching Systems, is part of the Microwave Products Group (MPG), which is a subsidiary of Dover Corporation. We specialize in Coaxial Switches, Waveguide Switches, Space Qualified Switches, Electromechanical Switch Matrices, Solid State Switch Matrices, Fiber Optic Switch Matrices, Programmable Delay Lines and much more. Specializing in RF Matrix, Switch Matrix, and RF Switches. 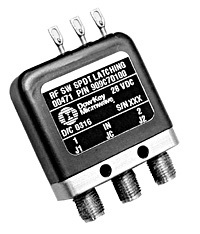 As a leader in RF technology, Dow-Key offers high performance waveguide switches operating up to 70 GHz, coaxial switches operating up to 40 GHz, Hi-Rel switches such as SPDT, transfer switch, T-Switch, various waveguide switches and switching blocks, and switching systems such as SATCOM modules, RF matrices with individual switches, non-blocking crossbar, fan-in and fan-out modules, hybrid switching solution and much more (electromechanical, solid state and fiber optics), in addition to, custom switching designs and reliable solutions, as it is required in today's fast paced communication industry. Our products are used in a wide range of different markets, from commercial, military and to space, with applications in ATE, avionics, ground based, satellite communications, broadcasting, Hi-Rel, and many more. We are specialized in RF technology and custom switching needs. Dow-Key Microwave is AS9100 / ISO-9001:2008 certified and is committed to provide unparalleled customer service, competitive pricing and on-time delivery. Founded in 1945, Dow-Key is the oldest continuously operational RF Relay manufacturer in the United States. are an electromechanical switch made primarily for routing microwave signals/RF energy from one point to another within a transmission line. are electromagnetic switches with hollow circular or rectangular cross-sections and are used for routing RF energy in microwave communications, broadcasting, and in radar applications. are used for both manned and unmanned space missions. are precision made switching systems, manufactured using solid state switches. A flexible, yet modular system architecture comprised of a series of brackets, panels and electronic-boards that are universal among all Dow-Key electromechanical models. are designed to switch signals in pure optical domain with the use of MEMS switches. are manufactured for high performance switching devices used in a PXI switch solution, we now offer alternative solutions such as the Electromechanical matrix product line. are programmable devices are designed to delay RF input signals up to 200ns maximum with a minimum step size starting at 10 ps. Dow-Key produces the highest quality, and most reliable programmable delay lines and offers them in a variety of delays. section will help you find information regarding retired Dow-Key products. 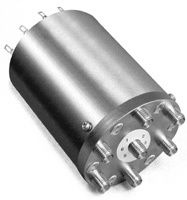 We offer electro-mechanical and solid-state and coaxial switches for a wide range of RF and microwave applications. We have extensive experience with commercial, Military, Avionics and Space markets. Search this site for: rf switch, rf relay, SPDT switch, 1x2 switch, DPDT switch, transfer switch, SP3T switch, SP4T switch, SP5T switch, SP6T switch, SP7T switch, SP8T switch, SP9T switch, SP10T switch, SP12T switch, SP14T switch, SP3T coaxial switch, SP4T coaxial switch, SP5T coaxial switch, SP6T coaxial switch, SP7T coaxial switch, SP8T coaxial switch, SP9T coaxial switch, SP10T coaxial switch, SP12Tcoaxial switch, SP14T coaxial switch, 40 Ghz switch, coaxial relay, switch matrix, coaxial switch, coaxial relay, L-band matrix, L-band switch, VHF-band matrix, VHF-band switch, IF-band matrix, If-band switch, HF-band matrix, HF-band switch, C-band matrix, Ka-band matrix, Ku-band matrix, waveguide, waveguide switch, space switch, space relay, hi-rel switch, space waveguide, and much more.